These unique personalized light pink baby girl baseball plaques are made with baseball letters which spell out any name you would like...up to 10 characters. The number of characters determines the size and price of the plaque. 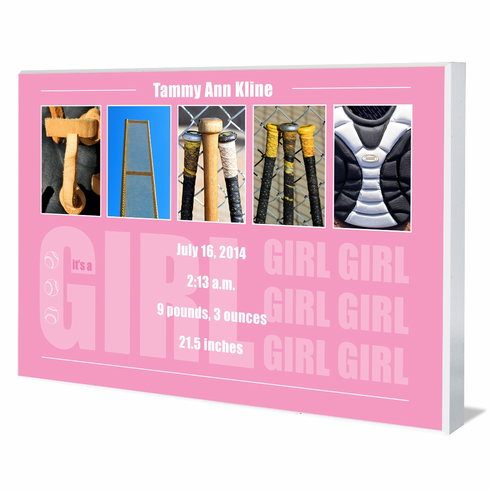 ~ Pink background, white sides and borders, white text, baseball letter art photo letters.